Sarah Bettey Photography: First Flower!!!!! I went and checked my archives. My first flower post of the same crocus plant last year, which is always my first sign of spring to come, was not until March 1st. We are ahead of schedule compared to then, despite this past weekend frigid temperatures. Cold weather is the worst! Is it spring yet?!?! That is one hardy flower. Hope it survived last weekend's snowpocalypse. A beautiful shade on this crocus. How wonderful! 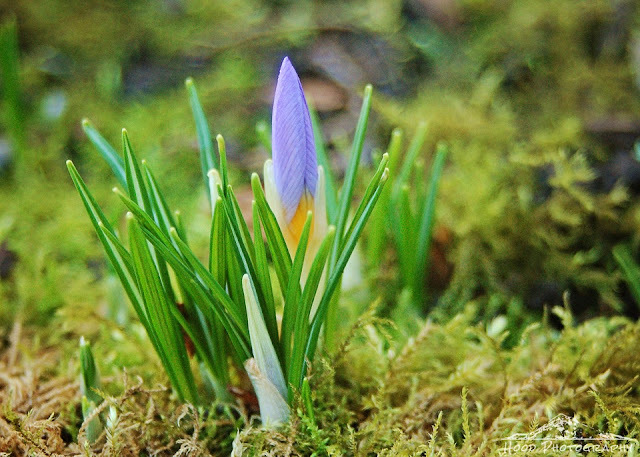 We have to wait for a few months to find crocuses here. How can a color be vivid and soft at the same time? Just ask this sweet crocus--it's got all the answers in the wonderful photo. Thanks!